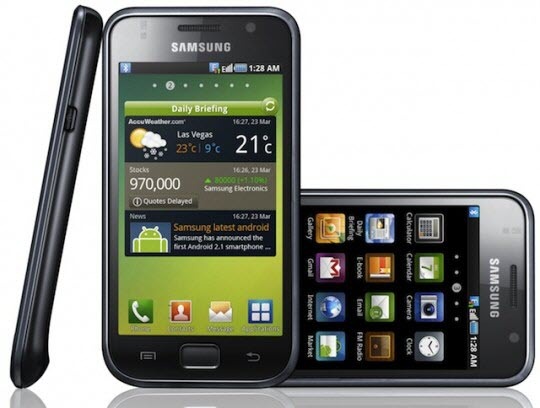 The Samsung Galaxy S GT I9000 users can now update their device with one of the most demanded and stable firmwares which is titled as Amestris Dark Cyan V12 Rev.01 JW8. One of the best part of this firmware is it comes with a host of features. Please be informed that, Samsung has made it clear that after Value Pack 2.3.6 firmware update, there won’t be any further upgrades of ICS or Jellybean for Samsung Galaxy S GT I9000 and other similar class devices. You can revert back to your original firmware. This firmware should only be applied on Galaxy S GT I9000 model and not on any other devices as it may even brick the device. You can check the device model from the path “Settings > About Phone”. We strongly recommends you to take backup of all your precious data (i.e SMS, MMS, Call logs, APNs etc) present in your phone. Just in case; if your data might corrupted or erased due to any reasons you can easily recover them with the help of backup. Once you have created a back up of all the data move them all to the computer so that they are safe. Warning : Please don’t back up the data with the help of ROM Manager as it may brick the device. To apply this firmware update in your device you need to root your device. If you want to check whether your device is rooted or not download the “Root Checker” app from the Google PLAY Store. If you are not rooted then do the same. Make sure that you have left battery level of at least 20% or else there is a risk of your device getting turned OFF in the middle of firmware update. Enable USB Debugging mode by selecting the appropriate option in your Samsung Galaxy tab 8.9 i957 tablet, by following the path – “Settings > Applications > Development > USB debugging”. So, once you have performed all the above mentioned instructions, you can head over to the next steps where we have summed up a detailed guide on how to apply this firmware update. First download the Amestris Dark Cyan V12 Rev.01 JW8 Firmware package from here to your computer. So, once you have downloaded, connect your phone to the computer using the original USB Cable and place the same in your device. Once, placing the file, disconnect the phone and turn OFF the phone so that it can be entered in the recovery mode. To do that, you need to press the Volume Up Key, Center Button, and holding both simultaneously press the Power Button. In recovery mode, select Wipe data/factory reset and also you need to select wipe cache partition which will clear out all the cache data present in your device. Please note that if you skip this step then you may face issues like force close issues in your Galaxy S.
In recovery mode, select Wipe data/factory reset and also you need to select Wipe Cache partition which will clear out all the cache data present in your device, if you skip this step then you may face issues like force close issues in your Galaxy S.
Select “install zip from sd card” > “choose zip from sd card” and then choose the Amestris Dark Cyan V12 Rev.01 JW8 Firmware Package to select “Yes” with the help of Volume rocker keys and Menu button. Once the file is selected, it will take few more minutes for applying the same. Once the update is applied, select “Go Back” and then “Reboot system now”. With the help of progress bar you can note the firmware upgrade progress. TIP : Suppose, if your Samsung Galaxy S GT I9000 device gets into the boot loop sequence or gets stuck in the welcome screen, reinsert the battery and refollow the above mentioned instructions. The Rebooting process will take more time than the expected time. Once you see the home screen, you can head over to the path “Settings > About Phone” there you can see all the details about the new firmware. Bingo! you have now successfully learnt how to Update Samsung Galaxy S GT I9000 android device with Amestris Dark Cyan V12 Custom ROM Firmware.